FOR precautionary purposes, Benguet Board Member Fernando Balaodan wants to regulate the operation and ownership of unmanned aerial vehicles or drones. Balaodan, author of the proposed ordinance which passed on second reading said the regulation of drones is a "pre-cautionary purpose" that entails the registration of the aerial vehicles to the police station in the different municipalities of Benguet. "In cases of accidents, we can already identify who owns the responsibility," Balaodan said. Balaodan added these unmanned aerial vehicles have the capability to continuously monitor text-messaging of individuals and groups. The Benguet official added aerial vehicles have the capability of carrying a variety of weapons including gauge shot guns, tear gas, rubber bullet guns, bombs and missiles. Balaodan said the unmanned drones have the capability to watch individuals on a 24-hour basis, following and recording their movements in an unprecedented way. "Surveillance drones present a threat to the rights of individual privacy, freedom of association and equal protection," Baloadan added. Under the proposed ordinance, at least drone operators should be at least 18 years old. According to the ordinance, no person are allowed to operate a drone at an altitude greater than 300 feet, within an open-assembly of persons, at night or foggy conditions. "A person operating a drone must ensure it is operated within optic view or visual line of sight at all times during the flight," Balaodan added. The ordinance also prohibit the use of drones within the vicinity of a national, local government offices and public institutions. It also prevents a person operating drone under the influence of alchohol and drugs. An exemption is made in cases of public interests. 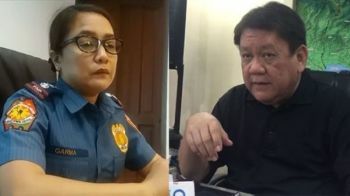 The governor, provincial director of the Philippine National Police and the chief of police of a certain municipality can exempt any person from the operation of drones provided the requirements and certain conditions are followed. The said offices are also tasked to implement the provisions of the ordinance and conduct information education campaign. Penalties include confiscation of the drone and its accessories and imprisonment by the operator not exceeding one year or a fine not exceeding P5,000. Balaodan said the proposed law will have to undergo public hearing to meet the suggestions and recommendations of the stakeholders.